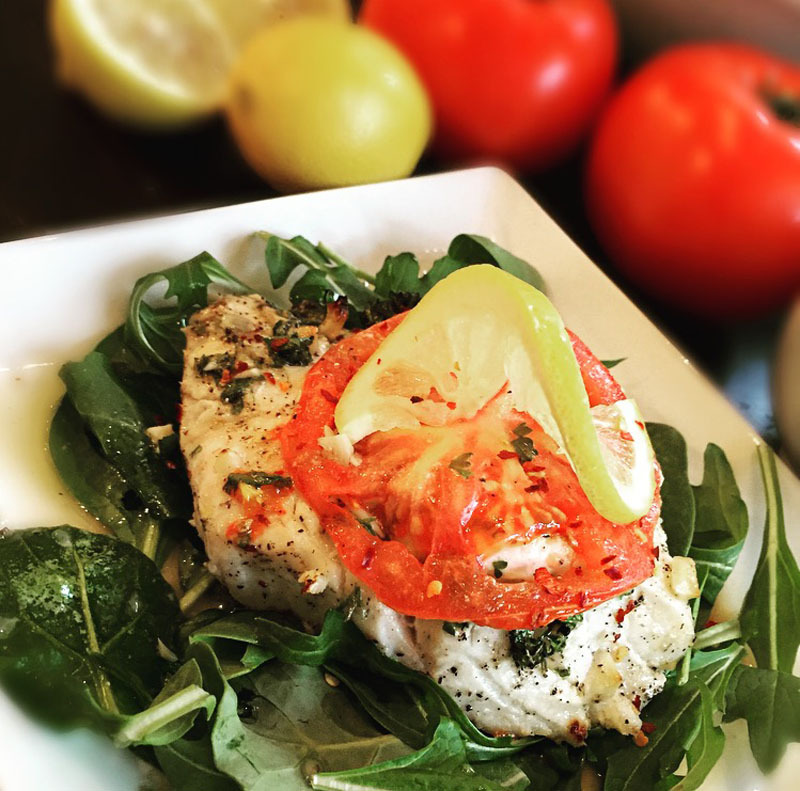 This marinade is so fresh, so lite, and full of robust flavors that work well with any type of fish. 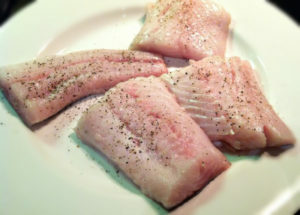 I chose a thick filet of Cod because of its mildly flavored, easy to cook and flakes beautifully when ready. The key here is to pick out the freshest fillet you can. When choosing fish, make sure it is bright, and glossy in color almost translucent. Also, don’t be afraid to ask questions. You’re the one purchasing and eating the fish so you want to make sure what you’re serving to your family is the best quality. A great question to always ask at the fish market is what day the fish was delivered to their store. I only buy fish in the 2-day window, and even then I ask to smell it. This may sound crazy, but seafood should always smell like the ocean and never fishy. 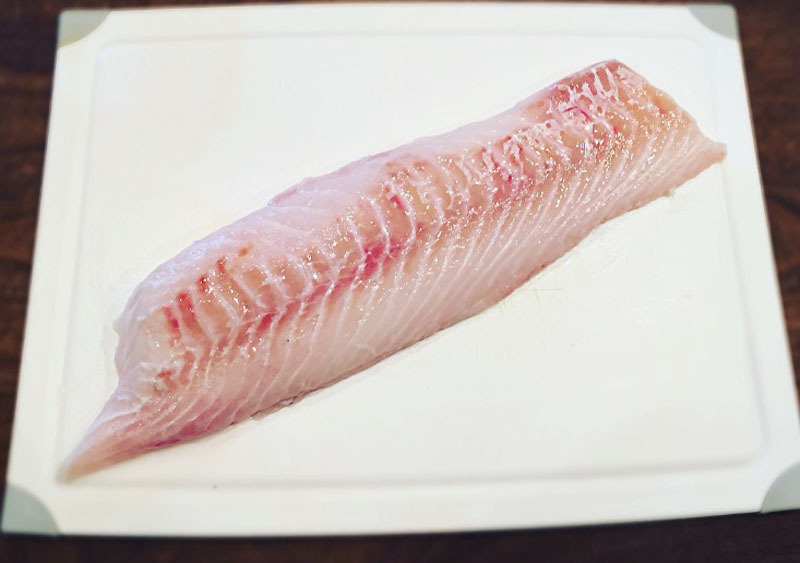 The photo below is a beautiful full pound filet of fresh Cod. Preheat oven to 420°. Rinse the Cod under cold water then pat dry with paper towels. Slice the filet into 4 (4oz) pieces and season with salt and pepper. Arrange in a Pyrex dish. 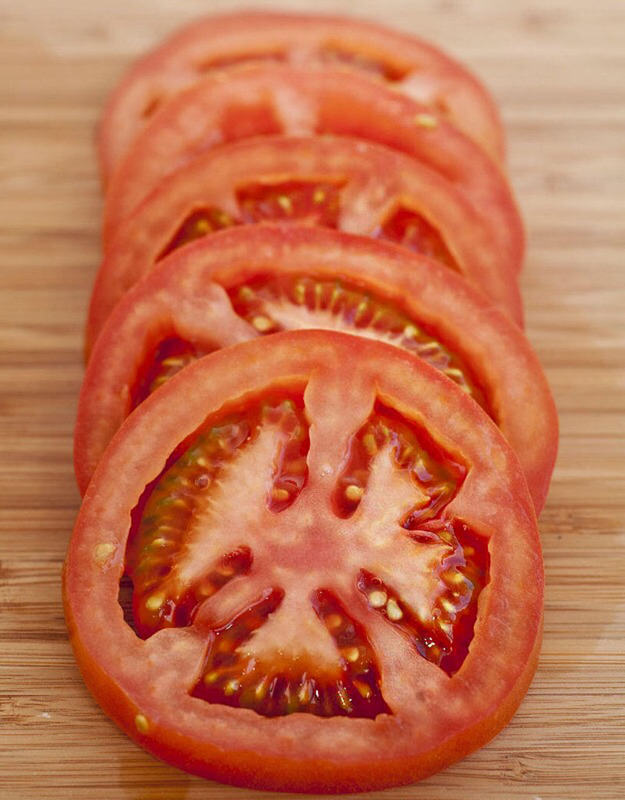 Slice the tomato into four thick slices and season with salt and pepper. 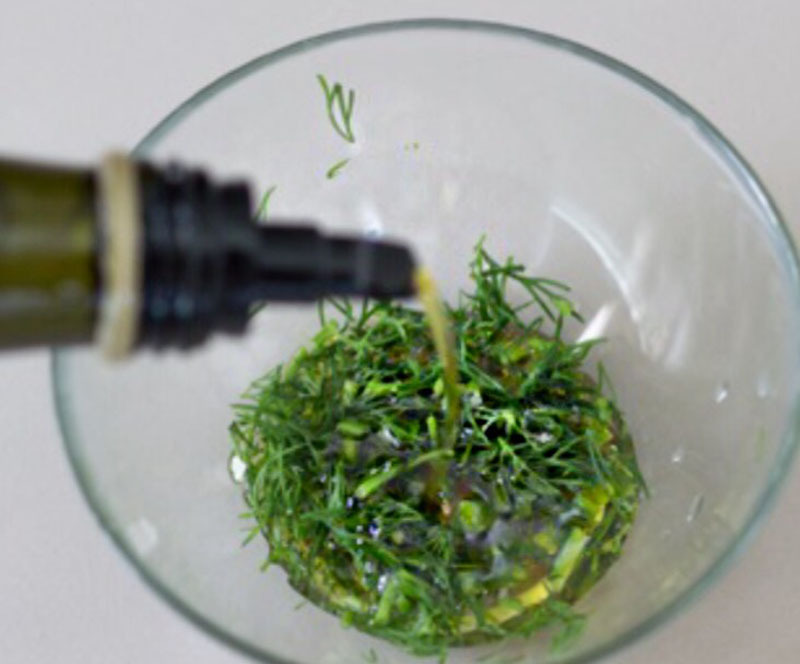 Pour the oil, lemon juice, wine, garlic, dill, oregano, and crushed pepper flakes in a large measuring glass or mixing bowl and whisk vigorously. Pour entire mixture over the fish then top the fish with tomato slices. Bake on the center rack for 12-15 minutes or until fish is flaking with the fork’s touch. Deliciously paired with a crisp glass of Pinot Gris or 3. A fresh, light, and flavorful marinade that works well for any type of fish, but especially thick and flaky Cod. Rinse Cod under cold water, then pat dry. Slice into 4 equal (4oz) pieces and arrange in a Pyrex dish. Season with salt and pepper. 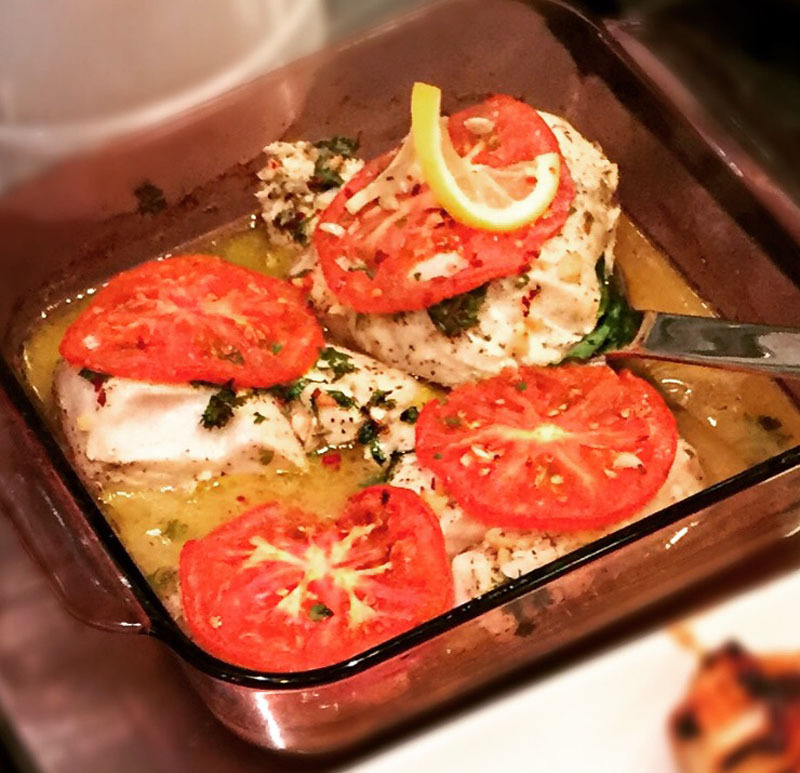 If using fresh tomato, slice in thick pieces to avoid dissolving onto the fish. Pour entire mixture over the fish and top with tomato slices. Bake on center rack for 12-15 minutes or until fish is flaking with the fork's touch. 1 foodie loves this. Do you? I hate seafood, but this is the first fish recipe where I didn’t need to have breading, flour or ketchup involved . Was delicious and went back for seconds!